*Potential energy use comparing an 8-SEER system to a 20-SEER high-efficiency system. Actual energy savings will vary. 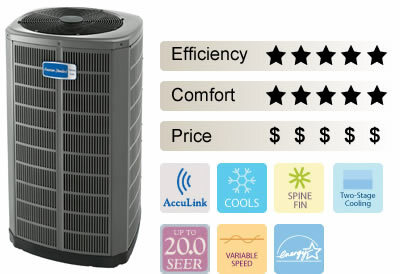 **An American Standard Platinum ZV or Gold ZM Comfort Control with a communicating indoor unit is required for the Platinum Series ZM communicating air conditioners.